You know who else wears horizontal stripes? QPR. Granada, too, and they’re REALLY crap (and they somehow may stay in La Liga. Spain!). You know what happened to QPR? We don’t talk about it. Poor Pete Doherty, by the way. 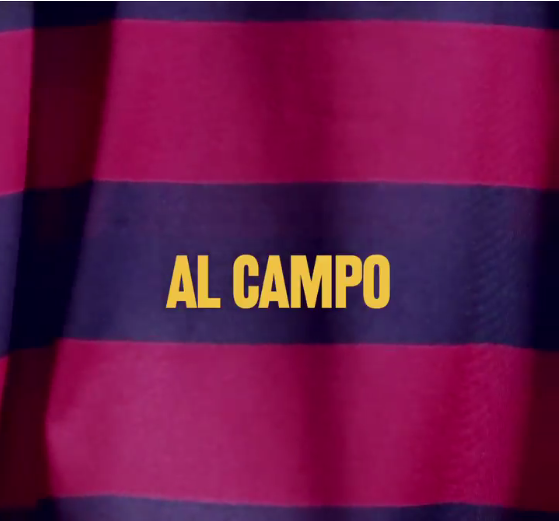 We haven’t seen Thomas Vermaelen in horizontal stripes – hey, we haven’t seen him in anything Barcelona-related! – but I’m sure he’ll look good in these. Hey, let’s not go ov..hell, why not? Go crazy! This is the swan song. YOU CAN NOT PROSPER IN HORIZONTAL STRIPES. LET THE IMAGE LURK LONG IN THE MEMORY. This entry was posted in Frivolities, La Liga and tagged barcelona, La Liga. Bookmark the permalink.